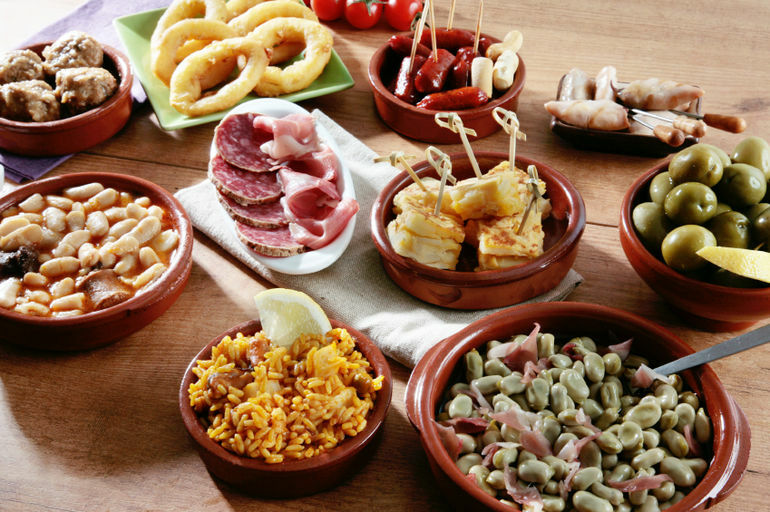 Tapas – or the art of serving a variety of snack-sized dishes that complement one another superbly – is as Spanish as paella or bullfighting. While the cookery technique is now practised in bars all over the world, it’s something special to go back to its roots where it originated. Of course, strictly speaking, tapas was invented in the Spanish region of Andalusia and quite by accident as slices of ham or bread were placed on the rims of sherry glasses in order to protect the liquid inside from flies. Eventually, the eatables became as important as the alcohol and tapas was born. Even so, if you’re holidaying in Alicante, it would be criminal not to introduce yourself to this traditional Spanish cuisine. Here are our top places for trying it. It’s worth booking an Alicante flight just to experience this very special gem of a restaurant. Be sure to arrive before 1:30pm. The Spanish like their lunch late, and after 2pm it’s impossible to find a seat. Whether you’re in the mood for shell fish or a meat dish, the food here is always exquisitely prepared. Of course, its popularity makes it difficult to find a table at certain times of the day, but the upside of this is that you’re guaranteed a wonderful atmosphere and plenty of other people to dine with. Catering for the discerning tapas consumer, Igueldo helpfully divides its menu into portions and half-portions, with separate sharing and tasting selections on offer. Particular highlights include the grilled blood sausage, french-style duck liver and anchovies direct from the Cantabrian sea. The restaurant has consistently received excellent reviews from local press and tourists alike, so take them up on their recommendation and experience tapas the Igueldo way. Pull up a chair inside or out at Lizarran, which is helpfully situated alongside Alicante’s main street La Rambla. Order yourself a glass of the local vino and watch shoppers sauntering along the thoroughfare while enjoying the glorious sunshine. There – doesn’t that sound glorious? And we haven’t even got to the food yet. Lizarran is known for its low prices and its menu is dominated by ‘pintxos’ – which are tapas on cocktail sticks. Far from being the tiny bite-sized eatables you’re probably used to, these are often large chunks of meat topped with anything from mozzarella cheese to peppers and herbs. Exceptionally tasty offerings to be had here. This little restaurant on Calle del Teniente is certainly a cosy venue like no other. While it’s generally busy, there’s a very good reason for this – the food is absolutely divine with a huge variety of tapas on offer. Excellent cuisine is supported by an excellent wine list and a full bar, so feel free to indulge in an alcoholic beverage or two while dining. In particular, the selection of Spanish vino on offer is to die for. Adored by all who visit, you do not want to miss an opportunity to pop in here for a quick bite to eat.